Entry Voicemail and Auto Attendant is an effective internal module voice mail solution for your HiPath system. You can operate all of the available functions via the keys on your optiPoint telephone or on any other telephone with tone dialling (DTMF). THE BOXIT SOLUTION HAS BEEN DISCONTINUED..please enquire about its replacement. The BoXiT ITS voicemail auto attendant family of units consists of BoXiT voicemail and BoXiT auto-attendants. These systems are suitable for making communication flows more efficient within small to middle sized companies. BoXiT ITS voicemail gives people who need to reach you by telephone the possibility to leave a voicemail message in your voice mailbox. 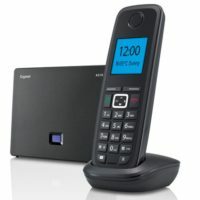 You can reach your voicemail mailbox at any time from any touch-tone telephone to listen to your messages, to record your greeting or change other settings. 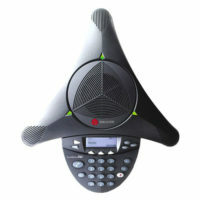 BoXiT ITS voicemail is available with 2 or 4 ports,128 mailboxes and speech storage of up to 7.5 hours. BoXiT ITS voicemail and BoXiT auto-attendant have an automated attendant. It answers your phone calls in a friendly way, 24 hours per day, 7 days per week. When a phone call is being received, the automated attendant plays back a number of script menus that can be put together in any way you like. By pressing a number during these script menus, the caller can reach a department. It is also possible to dial the direct extension of the person who the caller tries to reach. The BoXiT ITS voicemail auto-attendant units have been tested on most PABX systems and especially been developed for the Siemens HiPath switchboards. Prices are very attractive and BoXit makes it possible for small companies to enjoy the advantages of voicemail, without having to make a large investment. The BoXiT ITS voicemail family of units consists of BoXiT voicemail and BoXiT auto-attendants. These systems are suitable for making communication flows more efficient within small to middle sized companies. With BoXiT voicemail your company is always available. The automated attendant answers your phone calls, 24 hours a day, 7 days a week. The caller is greeted in a friendly way, before they are transferred to the right extension. If that extension is busy or not answered, the caller will be transferred to a voice mailbox so they can leave a message. BoXit voicemail is especially suitable for the Siemens 1100 series.FEATURES of the BoXit Voicemail & Auto-attendant:Automated attendantDuring and outside office hours, the automated attendant answers calls in a friendly way. The caller will hear some menu texts. By pressing a digit during these menus, the caller will be transferred to the correct department or person. Direct-dialing numbers may also be entered immediately.Day, night, holiday and break time greetingsFor every moment of the day and for holidays you can record a different greeting, so that the automated attendant addresses callers with the correct greeting at any time. BoXiT is delivered as standard with 3 languages: UK English, Dutch and French. Other language combinations are possible too. 8-500 voice mailboxes – for 8-500 people or departments you can create a voice mailbox. 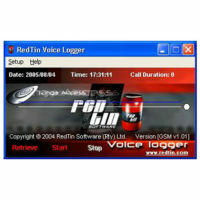 This gives callers the possibility to leave a message, when someone is not available. 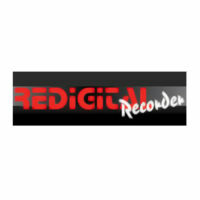 Voice mail messages – you can listen to your messages, save them, forward them and delete them. Notification of messages – new voicemail messages will be notified on your telephone by a flashing light or by an interrupted dialing tone. External notification is possible as well: BoXiT Voicemail will then call you on a home phone number, a mobile number or a pager. Adapted language – per mailbox one of the three supported languages can be set. 2-8 Port configurations – BoXit Voicemail can take 2-8 calls at the same time. Speech storage – 1 up to 144 hours depending on unit. You can program and maintain the system via the PC with the Voicemail Utility Program (Windows – based), the programming can be loaded from the PC onto any BoXiT Voicemail Auto Attendant system via a touch tone telephone. IS YOUR AUTO ATTENDANT FRIENDLY? Add a Voicemail Auto Attendant package to your pabx / switchboard today. Call us on 011 206 2900 for more information today.